Melissa Spiccia won our second theme, ‘The Human Body’ with her transcendent image of the body as a tool in the media. Our judge Mona Kuhn described it as ‘strange and beguiling’. We sat down with Melissa to ask her a little more about that image and how the performance arts affect her work. Melissa – firstly, congratulations on winning our theme ‘The Human Body’. Can you tell us a little more about the image? Thank you, I’m really delighted. The title of the image is named after the Metro newspaper that features in the photograph, and it’s something we Londoners see daily on the transport systems. It’s consumed and discarded by commuters and so an object that somehow relates to human behavior, occupying spaces where people have once been. To me it’s part of the fabric of London, digested and forgettable, visible and yet invisible. Both the newspaper and the image on the front cover feel like they have lived similar lives of consumption and disregard, unashamedly. By combining the two bodies, male and female in the photograph it also constructs a new notion of reality and strangeness giving the image for me multiple meanings and contradictions. I notice that you were originally a ballerina, and there is certainly a ‘visual performance’ aspect to your photographic work. How did your practice evolve from dance to photography? And do you consciously try to retain elements of your dance in your photographic work? Life can sometimes feel like a daily performance we engage in at some level as a way of communication and exchange within time and space. Choreography beyond dance is around us all the time, shaping our everyday lives, sometimes in unexpected ways. Starting out my career as a ballerina gave me a solid technical foundation and an appreciation for line and form, but it was later when I retrained and worked as a contemporary dancer that things became much more exploratory. I was able to explore the moving body further through Laban Fundamentals, and later to generate my own movement vocabulary that was more authentic. Over time this gradually led me to be curious as to how my experiences could relate to other art forms. Photography intuitively found its way into my work. Dance as an act is ephemeral and as a performer the live body is of itself, existing in the present. A photograph on the other hand in my view records a moment within the experience capturing what was in reality full of sensory elements, memories, presumptions and ideas. It also becomes something of itself. How would you describe your photographic practice in three words? Your images are usually abstract, and I would suggest emotionally, or atmospherically led. Where does the genesis of an idea for an image tend to come from? Initially I may have a clear thought in my mind or a curiosity about something. Then I try and find a fit for that curiosity. There’s a sense of match making going on maybe, a means in which I can resolve that curiosity through a solution that always starts in the body while being medium neutral. It’s instinctive and I’m open to how I can respond to it in my mind. Then when I work with the idea there’s a struggle within the idea itself and the relationship it has to other factors I’m working with. It all comes from the same place I think, whether I am moving, drawing, making objects or photographing. I’m constantly searching for a new way to relate and perceive the environment around me and I approach my work very much like I would when I improvise with movement. The process isn’t linear but in constant transition, allowing ideas to shift, respond and materialise in their most suited form. You’re prolific in your series of work – can you tell us about a couple of them? Yes certainly, here are a couple of projects I’ve done recently. The first couple of images are from a project called Ego. I was interested in exploring the concept of the ego and worked with my body to emphasise certain areas and physical states. The final images are like an echo to the text that accompanies them. The next project is called Enmesh. It’s a series of large-scale images inspired by an interest in somatic memory. The images attempt to capture memories stored at a cellular level in the body –i.e. memories that may have been consciously forgotten but that are still remembered by our bodies. 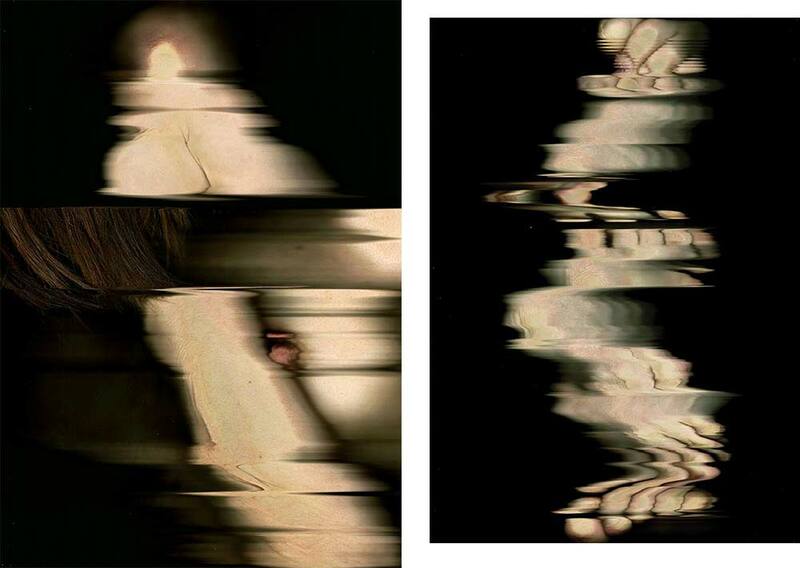 I worked with an image scanner, and the process involved attempting to sequentially archive these memories and their physical manifestations as the body ‘travelled’ across the glass in sync with the light scan. Sometimes a vague idea of a memory was present before informing the area of the body which was focused on. At other times, the body moved unguarded, uncovering memories and emotions that had been stored within it. Each series of your work tends to be quite small – sometimes just 2 or 3 images. Is there a reason for this? And are you working on any more long-form projects? I think it is has evolved that way unconsciously, but I would very much like to make more long-form projects. Sometimes a thought or idea is captured in an image or a couple of images and I feel, maybe wrongly, that if I make too many the same thought would be repeated or have moved on. At other times text may take the place of an image. It can also be down to circumstances i.e. only having a short period of time in a particular space or because of mistakes. I don’t mind making these though as they can lead me to re-see things or go deeper within the idea. Which other photographers or art practitioners inspire you? 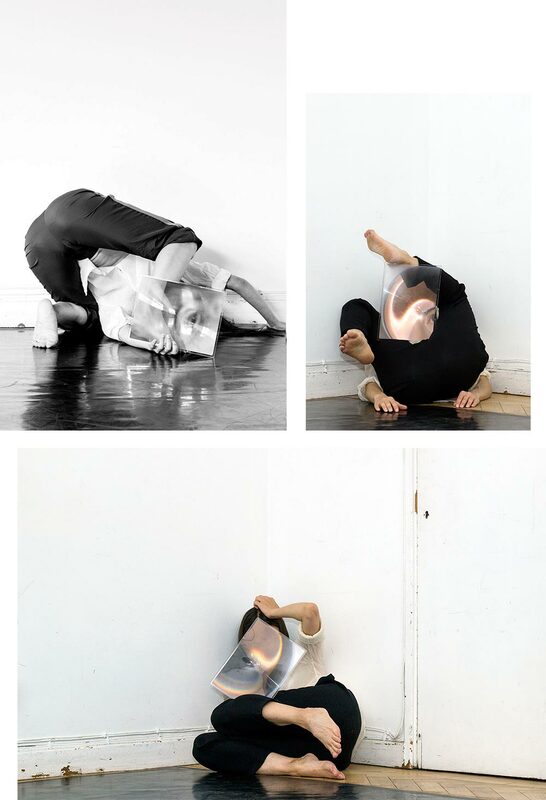 Louise Bourgeois, Sarah Lucas, Wolfgang Tillman, William Forsythe. Where would you like to take your work, or what can we expect from you next? I’m really enjoying working within different mediums at the moment and I want to challenge myself to go beyond where I’m comfortable so that I can develop my skills and knowledge in these new areas. One of my goals is also to try and have my work shown somewhere to see how the work responds within a physical space and how people respond to it. Thank you for the recognition, it means a lot.